I am a software artist with an interest in number theory. I write software and words about artificial life, virtual worlds, algorithmic art, and human-computer interaction. I am interested in designing emergence, and am currently developing a taxonomy of fractal curves in the complex integers. If a tree could do yoga, this is what it might look like. This video captures a realtime animation generated entirely in code. I created this animation using a specially-designed recursive algorithm. 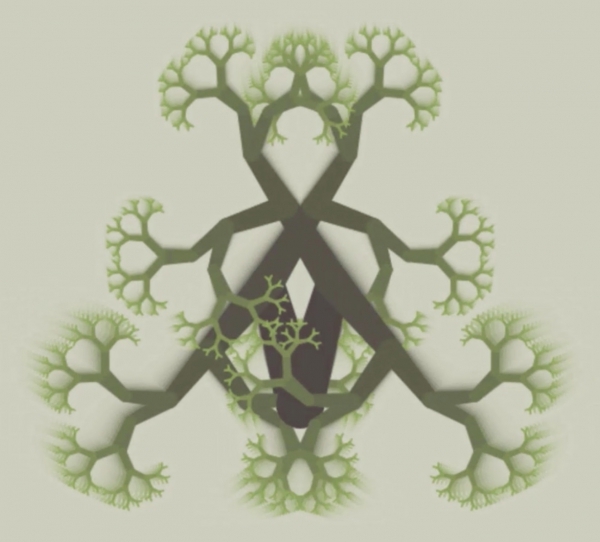 My algorithm expresses the hierarchical movement of animals as they stretch their limbs - this movement is extended out into the multi-level hierarchy of branches in a fractal tree. The expressions are multiplied through every branch of the tree to form a continually-shifting mandala. My algorithms are inspired by nature; they are meant to trigger metaphors that cross over species boundaries. 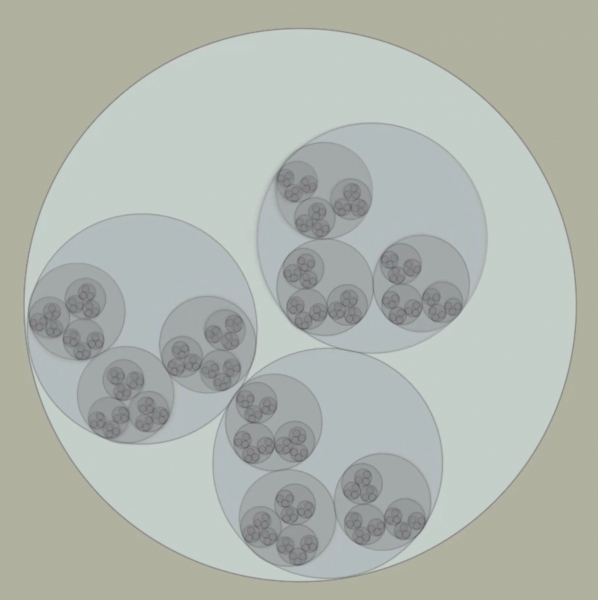 Apollonian circles can be used to make interesting fractals. This video shows a 2D physics simulation of circles tumbling inside of circles.